We celebrated our child’s birthday with her friends last weekend. At every holiday, inevitably someone asks a child what gift she is wishing for. It’s times like that’s where it becomes abundantly clear that we don’t watch kids TV. My child has no idea what toy she would like; even the concept of directing a purchase is still a bit new. It would have been easy enough to go buy them (imported) at the grocery store. And, likely I will do just that. But, I also ordered her the plants for her own “teaching” garden. Perhaps not the usual gift for a three-year-old, but I have a feeling she will love it. She already helps water and plant herbs. This season, we will grow plants from seeds indoors as well. Teaching gardens are one of the more innovative approaches to hands-on learning and getting kids to embrace real foods again. Personally, I think it would be great if such a tool were a mandatory part of public education, just like PE. But, waiting for schools to catch up and do something innovative in a “No Child Left Behind” system could be a long wait. The teaching garden will have to be our backyard. What can kids learn from a garden? Quite a bit, if you take a look at the curriculum suggestions that can be tied to a school garden project. Life science questions like “How do plants reproduce? How do seeds work?” can be explored by even the youngest of gardeners. Older gardeners can explore topics like photosynthesis or how plants adapt for survival, or the role of bees in pollination. Earth sciences like weather can be introduced along with food webs. Math concepts can be used in planting to divide the rows, or measure growth, or determine planting dates. Nutrition and healthy cooking are, of course, part of the process. But even the history of the plants and the cultures of people who grow different varieties are great topics. Art and language can even play a part in the learning. Children can write and illustrate a garden “story” or read books about gardening. Art projects can include seed mosaics or leaf art. The topics are nearly as endless as one’s imagination. Beyond education, this hands-on approach to growing food and then helping prepare those foods has been shown to increase children’s interest in eating vegetables and in the importance of nutrition. In addition to strawberries, we’ll plant greens like kale and chard and lettuces, romanesco cauliflower; Roma green beans, shell peas like Crowder and a couple other heirloom varieties; and the stock of various tomatoes, pumpkins and squash seeds I have been saving. And strawberries. Lots and lots of strawberries. « Green Options Turns One: Make A Wish! What a sweet post! It makes me think that perhaps I shouldn’t crave a fancy store bought French strawberry tart, but maybe just enjoy the simple pleasure of a little white dish of bright red strawberries from the garden. I thought this would go great with your birthday party garden. My name is Mark Chipkin. I started a company that sells the TickleMe Plant. A plant that moves its leaves and branches when it is tickled. We developed kits and activities to help children (and those young at heart) get excited about plants and indoor gardening. I provide individual support, growing tips and experiments for kids for free. Would you (or someone you know) consider sharing any of the information indicated below or from our web site http://www.TickleMePlant.com with your readers. You have my permission to use any of our photos, graphics, videos, pricing and text from our web site or below in your writingsTickleMe Plants were are now being featured by the National Gardening Association http://www.kidsgardeningstore.com which have similar goals to ours! Below are directions for growing your own TickleMe Plant and other information I hope you will find useful!
. Please write or call if I can provide you with any high resolution images. Ever Grow The Plant That MOVES When You Tickle It? Now you and your family can grow your own TickleMe Plants™! I have been growing TickleMe Plants™ with my sixth grade students and family for over 30 years. Imagine the amazement of your friends, family or students when your living TickleMe Plant™ closes its leaves and lowers its branches as you tickle it. 1. The day before you plant your seeds, soak them in warm water overnight. 2. Fill a flower pot or cup ¾ of the way with soil. 3. Plant three to five seeds by covering them with 1/8 inch of soil. 4. Water your seeds gently. 5. Place your newly planted seeds in a room that receives bright light or sunlight for part of the day. 6. Temperatures in the room should be above 70 degrees. 7. Water before the soil dries out. 8. That’s it! Your plants will begin to grow in less than a week. The first two leaves will not be ticklish. In about three weeks, the second set of TickleMe Plant™ leaves will appear and they will move when you tickle them. TickleMe Plants™ are best grown as house plants and can even be placed in a bright location outside during the warmer months. They are frost sensitive, so be sure to bring them inside before the cold weather arrives. The sensitive plant seeds of the TickleMe Plant grow to produce beautiful pink cotton puff ball flowers. TickleMe Plants™ can live for a year or more and grow to about one foot plus in height. What is a TickleMe Plant? Native to Brazil, TickleMe Plants can be found growing wild there and in other tropical areas. The scientific name for the TickleMe Plant™ is Mimosa pudica. It also has been called shy grass, sensitive plant and other names throughout the world. Even students that are sometimes hard to motivate, can’t wait to take home their pet TickleMe Plant™ to show off to their friends and family. I grew my first TickleMe Plant™ when I was 9 years old and I never looked at plants in the same way again, nor have I ever forgotten the experience. Neither will you! 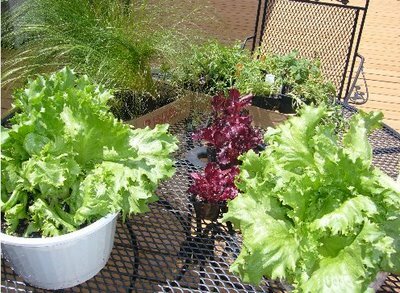 To learn more about growing TickleMe Plants™ or to order seeds go to http://www.TickleMePlant.com Seed packets start at $4.95, Growing Kits and TickleMe Plant Greenhouses with mini flower pots available. TickleMe Plants can be found online, in science catalogs, at science museums, botanical gardens and toy and gift stores. Mark Chipkin is a middle school Science Teacher and an Educational Project Director for the TickleMe Plant™ Company. He has sent hundreds of students home with their own Pet TickleMe Plants™. What a great idea! My soon to be 4 year old has too many toys and this sounds like the perfect gift for his birthday! He loves planting and taking care of plants, but we haven’t started a garden yet in this house. I am so excited about this! Thanks! Cool TickleMe Plants. The Party favors were are real hit at my daughters 10th Birthday Party. First I asked the children if they had ever seen a plant MOVE when they tickled it? They all said NO way. Then I showed them how the leaves folded up like an accordion and then they they WAY cool! I love my tickleme plant and the website http://www.Ticklemeplant.com I can’t get that song out of my head either. I love the idea of kids creating a garden. They could combine trees, flowers or herbs to have something that will last. One of my daughters friends had a planting party for her birthday and the kids a loved it.